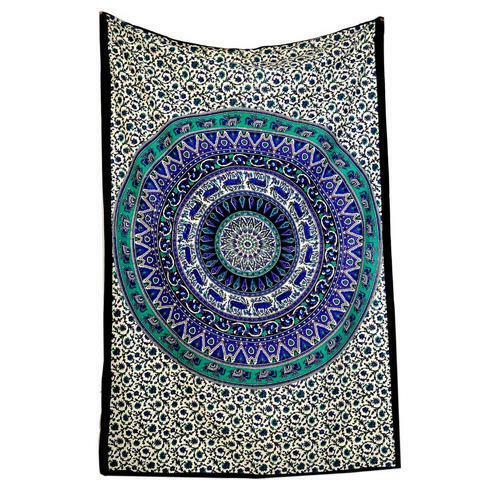 Our clients can avail from us a wide array of best quality Twin Wall Hangings Tapestry. These ranges are admired for attractive design and excellent usage. The offered ranges can be availed from us in the various patterns according to the need of clients. In addition to this, these hangings tapestry are offered at reasonable prices within committed period of time. “Urvashi Crafts” is a well-known Wholesaler And Exporter of a trendy and flawless assortment of Ladies Wear. Incepted in the year 2017 at Jaipur (Rajasthan, India), we design these Fabrics as per current market trends. We are a Sole Proprietorship company, which is actively committed to providing high-quality products. Our offered Fabrics are widely appreciated for their mesmerizing look, smooth texture, skin-friendliness, longevity and colorfastness. Managed under the headship of “Mr. Deepak Soni” (Manager), our firm has covered the foremost share in the market. We Are Exporting our products in USA, UK, South Africa And Asia.